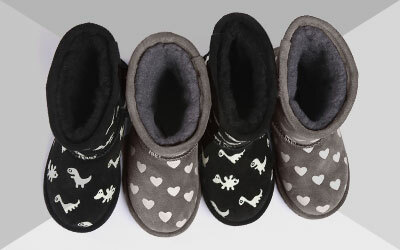 EMU Australia's Aldina Baby is a suede soled, fashionable shoe for the youngest babies of the family. Made with soft leather and suede. The Aldina Baby is a lightweight, breathable, baby bootie. With a wide opening for the foot, as well as open toe feature, this baby shoe is easy on and off. The soft suede sole allows developing feel to flex, refine and strengthen.